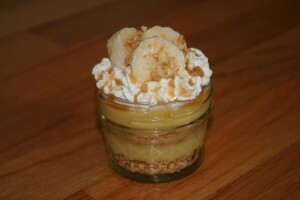 We are loving the reuse movement with mason jars. These adorable containers are no longer just for homing your homemade canned beets, but you can use them for decorations and more importantly dessert! Read on to learn how to make your own little dessert in a jar. PLUS Points expire September 14th. PLUS Rewards Points for this quarter will expire on September 14th, 2014. Don’t forget to give the cashier your phone number each time you shop to keep your PLUS points adding up. Last quarter we gave away $153,270 in wallet credits! Aren’t we always looking for the perfect summer side dish for whatever sizzling entree we have planned? 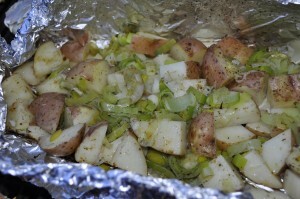 Look no further than this simple recipe for delicious red potatoes with leeks. Place potatoes and leeks in heavy duty foil (or foil pouch). Drizzle with olive oil and sprinkle with seasoning blend, salt and pepper. 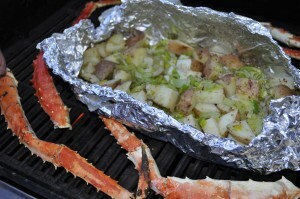 Place on pre-heated grill for 15 minutes or until potatoes are soft. Thanks for stopping by to see what is”fresh” on the block. We hope you enjoy this delicious side dish! Let’s approach the subject of emergency food storage by asking all the basic questions: Why? Who? What? How? When? and Where? Okay . . . so that’s five “Ws” and one “H.” But who’s counting? Macey’s and Augason Farms knows that in an uncertain world, having an emergency supply of food on hand can be very reassuring. You never know what tomorrow will bring. Daily news reports remind us how misfortunes such as earthquakes, hurricanes, flooding or even a job loss can strike anyone, anytime. When that happens, food and water can become scarce, or even nonexistent. Upon listing basic needs, eating and drinking rank at the top. No one wants to go without either for very long. So, buy food and water storage for the same reason you buy insurance: It just makes good sense to be prepared. You, of course. Since no one is immune to tragedy, each household should have a reserve supply . . . just in case. Whether you are single or part of a large family, this is good advice. And we think the “who” you should turn to, the best choice for your storage is Augason Farms, a food storage leader with over 40 years of invaluable experience at producing delicious, long-lasting foods. Whether you’re an old hand at it or a newbie, Augason Farms has already thoughtfully developed and manufactured the products you need. That’s up to you. Store what you like to eat; eat what you store. Struggling to subsist on unfamiliar food in an already trying crisis can only add to the stress. Eating familiar and preferred foods can have a reassuring effect. Coincidentally, one of the strengths of Augason Farms products is that they can be used in everyday meal preparation. They’re that good. If the time should ever come when you need to eat exclusively from your stores, there will be little change in your diet. If you’re on a budget, start by buying only a can or two a week. And when finances permit, add more. 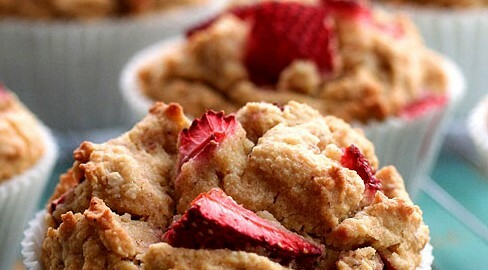 Start with perishable substitutes such as milk, butter powder, dried eggs and such. You can use those in your everyday cooking as well as holding them for emergencies. You’ll find, as well, that Augason Farms is consistently less costly than competitors, saving you money. Augason Farms also offers frequent promotions with additional discount pricing at participating Associated Food Stores. There are two valid approaches to storing food: “do it yourself” or “buy it.” If you prefer the first, Augason Farms offers dozens of useful and delightful things you can’t make for yourself—things like powdered butter or dried egg mix. Or if you prefer the second method, there are complete kits and packs that make storing effortless. This means your emergency food will be ready when you need it, without the hassles of canning and the need for constant rotation. Either way, Augason Farms has just the things you will need. Dehydrated or freeze dried foods have the longest shelf life—up to 30 years in some cases. And taste is never an issue with Augason Farms. As mentioned before, they have a long reputation for delicious, wholesome food. There’s no time like the present. Decide how many people will be using the storage and for how long, then buy accordingly. 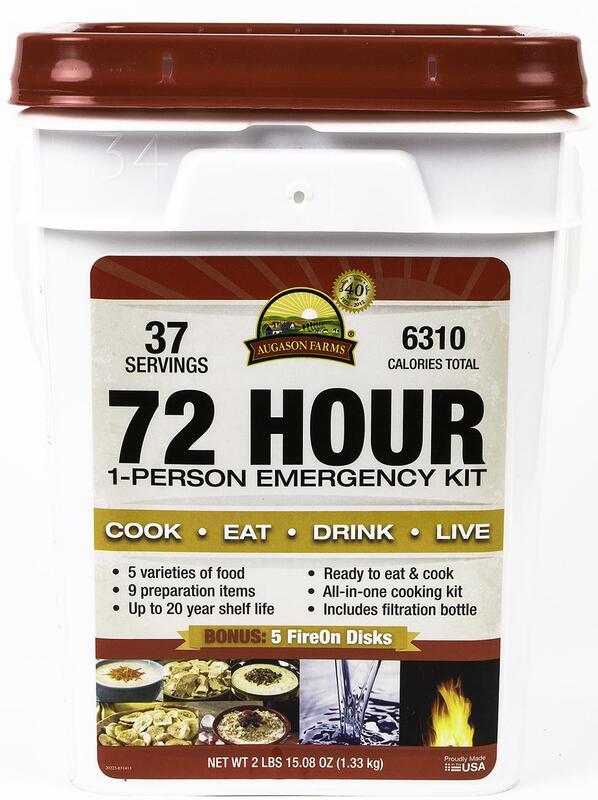 For example, Augason Farms offers a 12-day food supply pail that makes a perfect 4-person, 72-hour grab ‘n’ go kit. If your budget will allow, get a large, prepackaged kit or pack that fits your needs. If there are budgetary constraints, start modestly with enough food for a few days or weeks. In fact, Augason Farms has packs and pails that are tailor made for more modest budgets. Add when you can. But keep that ball rolling. Make a plan and stick with it. There are two answers to that question. First, store food anywhere you might be. At home would be the first place. That’s where you would want an ample supply, sufficient for a prolonged event. Consider laying in supplies in the other venues in your life: a cabin, boat or even your car. Lives have been saved because someone thought to put a 72-hour or grab ‘n’ go survival kit where it was later needed. Second, finding the right place to store your emergency food supply should be easy, though it requires some thought and research. A cool place, away from sunlight is best. Since space is at a premium in most homes, you may have to get creative. Some use the space under beds; others in closets. Still others set aside space in a shed, garage or a basement. 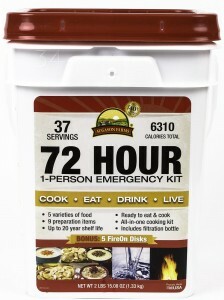 In fine, no one should be without some emergency food storage. And the very best comes from Augason Farms. They offer delicious peace of mind. Look for their fine products in the food storage aisle of your local Macey’s. Be wise. Start today. 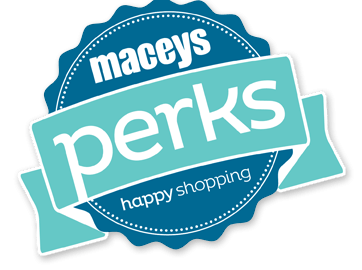 Join the Macey’s Food Storage club today and start receiving exclusive savings, tips and tricks each month. Be sure to watch for your first food storage club email. Everyone loves a good classic, and everyone loves a good classic that is easy on the budget. 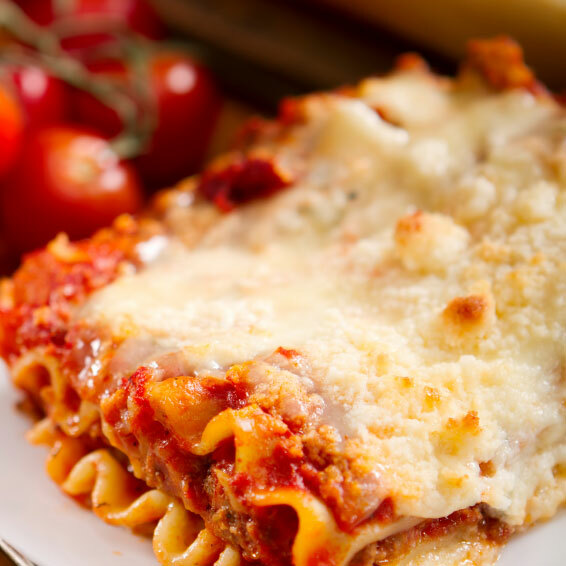 Lasagna is a feel-good classic that doesn’t need to be time consuming or expensive to make. Check out this recipe for the timeless classic your family loves at price your budget will love even more. Mix ground beef and tomato sauce together in a bowl. Stir egg into cottage cheese in small bowl. Place 3 noodles in the bottom of a 9×13” dish. Top cottage cheese with 1/3 of mozzarella cheese. Repeat layering process two more times. Bake 350 degrees for 30 minutes or until cheese starts to golden. Freezer Tip! 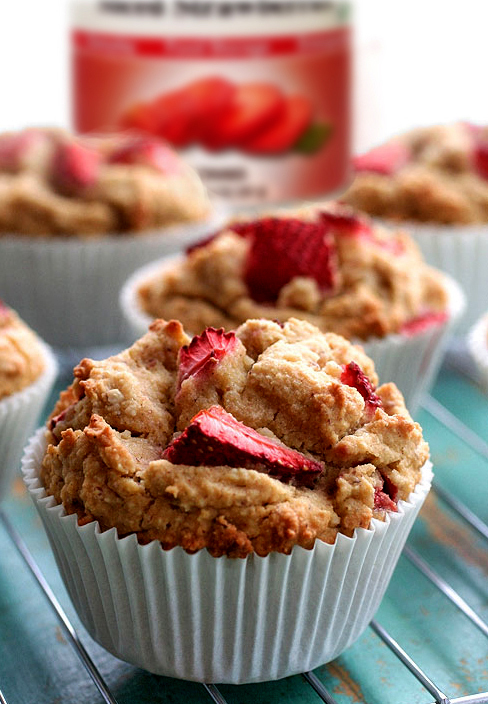 Before baking, cover top and place in freezer to enjoy later. When frozen, bake 350 degrees for 45-50 minutes or until cheese starts to golden. Thanks for spending time on the Macey’s blog. 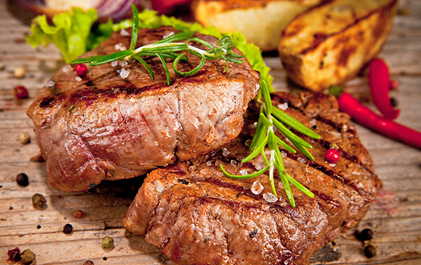 We hope you and your family enjoy this classic meal while sticking to your budget. Happy Shopping!